Parliament has failed to robustly oversee the executive – but this is hardly a new phenomenon. By Judith February for ISS TODAY. The recent enquiry from the South African Parliament into the South African Broadcasting Corporation (SABC) exposed the public broadcaster for its flouting of process; the board for its incompetence; and the Minister of Communications, Faith Muthambi, for conveniently turning a blind eye to the dysfunction. 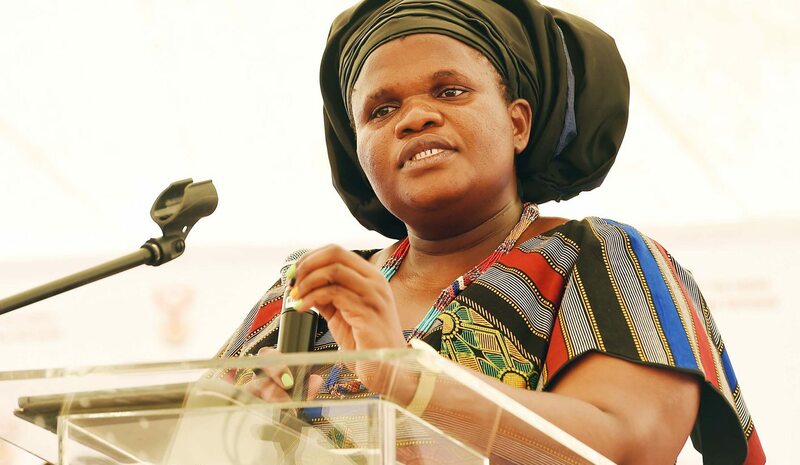 The report compiled, by the ad hoc committee that was chaired by African National Congress (ANC) member of Parliament (MP), Vincent Smith, has now recommended that Muthambi be fired. Muthambi in turn has declared herself “ambushed” by the committee, and is considering legal action. Arguably, it was Muthambi and fellow Zuma loyalist, the fraudster Hlaudi Motsoeneng, who ambushed the SABC and the South African public, which the broadcaster is expected to serve. Throughout the SABC enquiry, we observed a parliamentary ad hoc committee that was doing the job it was constitutionally mandated to do: namely hold a state agency to account. The committee was prepared, asked probing questions and expected unambiguous answers. Smith did an admirable job, as did his fellow committee MPs across party lines. One was tempted to ask where these incisive questions have been all these years. Perhaps if the committee had adequately performed its oversight function years ago, the SABC would not be in quite the mess it is today, with a debt of over R5-billion and low levels of public trust. Meanwhile, in the Transport Portfolio Committee, there are rumblings of an investigation into the recent wholesale firing of the Passenger Rail Agency of South Africa (Prasa) board by Transport Minister, Dipuo Peters. Of course, the appearance before Parliament last week by the Minister of Social Development, Bathabile Dlamini, yielded very little – with the minister arriving 20 minutes late, to add insult to injury. It seemed that Parliament was finding its voice again after all these years, and it was most welcome. But where has Parliament been since the Constitutional Court declared the CPS contract invalid in 2014, one wonders? Even the SABC enquiry, productive and constructive as it was, seemed to be too little too late. But Parliament’s constitutional role has been fraught ever since the arms deal created a spot of bother for the ANC MPs, who were expected to exercise oversight of their senior party bosses in the executive way back in 2000. It’s a fine balancing act between MPs holding the executive to account, while simultaneously trying to protect their seat and their position. Parliament’s mandate comes directly from the Constitution, and ideally one would want a more robust relationship between the legislature and the executive. Section 55 of the Constitution sets out clearly Parliament’s oversight role. It states that the National Assembly must provide for mechanisms to “(a) to ensure that all executive organs of state in the national sphere of government are accountable to it; and (b) to maintain oversight of – (i) the exercise of national executive authority, including the implementation of legislation; (ii) any organ of state”. There was a time after the ANC conference at Polokwane in 2007 that Parliament experienced a kind of “Prague Spring” – with MPs committing themselves to exercising greater oversight over the executive. This came immediately after the Mbeki years, which saw Parliament becoming more and more cautious in dealing with the executive. The arms deal investigation of 2000 saw this mandate directly challenged. The executive then used a heavy-handed approach to pressure the speaker at the time, Frene Ginwala, to curtail the powers of the Standing Committee on Public Accounts (Scopa) during the investigation. It led to the shafting of ANC MP Andrew Feinstein as chair of the ANC study group within Scopa, and the emasculation of the then chair, Gavin Woods. It created a partisan fault-line within Scopa – and the committee has never really fully recovered after that, as ANC MPs specifically were corralled into a more executive-minded approach, so as to reduce government accountability. Of course, the “Prague Spring” soon turned into a winter of discontent in that it was short-lived. Our Parliament, with its deeply compromised and conflicted speaker, ANC chairperson, Baleka Mbete, has probably never suffered from such a crisis of confidence. Ours is an electoral system where the party owns the seat. MPs are therefore far keener to please party bosses than to question ministers who may be senior to them in the party. We saw this during the compromised and half-hearted arms deal investigation in 2000; and nothing much has changed since. The ANC in Parliament has wasted no time in using its majority to push through pieces of legislation like the Protection of State Information Bill and the Nkandla report, virtually ignoring the substantive recommendations set out in the Public Protector’s detailed report. Ironically, Vincent Smith was one of those MPs, who during the Parliamentary investigation into the arms deal in 2000, replaced fellow Feinstein as chair of the Scopa study group. Clearly Smith was then viewed as more pliable – and he did the job for the executive back in 2000. One cannot help but think that Smith himself was coming full circle as chair of the SABC enquiry – and perhaps even seeking to redeem himself. Either way, he did a sterling job as chair of that enquiry. The political winds are uncertain right now as the ANC increasingly crumbles, due to corrupt and incompetent leadership of its president and his ill-disciplined loyalists. As to be expected, this is reflected in the conflicting signals from the ANC in Parliament. Jackson Mthembu, seen by many as a representing the more ethically minded and moderate centre of the ANC, has sought a more robust approach to overseeing executive action in recent months. He is supported by many in the ANC Parliamentary caucus who are painfully aware of President Jacob Zuma’s factions ruinous impact on the party – as reflected in the 2016 local government election results. The ANC’s recently released policy documents include a “Legislature and Governance” document. This section refers to some restructuring of the way in which Parliament operates; and also how to strengthen the ANC caucus. While recognising that something is amiss in Parliament’s oversight role; the ideas in the document do not really indicate how one shifts to the nub of the issue – namely how to achieve more effective oversight of the executive. Institutions matter. This might well be one of the most fundamental lessons of post-apartheid South Africa thus far – our democratic institutions are meant to be living, breathing instruments that shape our society. Yet in so many ways, recent political battles have seen weakened institutions’ struggle to maintain their independence in the face of an onslaught of political pressure. One of the ways in which South Africa’s future can be saved from a rapacious and corrupt class intent on capturing the state is for the institutions of democratic governance to be strengthened. This happens when the institutions themselves are accountable, and when those who populate them follow the constitutional requirements of leading with openness, transparency and responsiveness. As Zuma’s power wanes ahead of a bitter ANC leadership contest later this year, there may be greater opportunities for ANC MPs to hold the executive to account. MPs who are prepared to put their heads above the parapet should be encouraged; though many ANC MPs still remain hesitant. Since it is unclear which “faction” might win out, ANC MPs will hedge their bets. Judith February is an ISS Consultant.